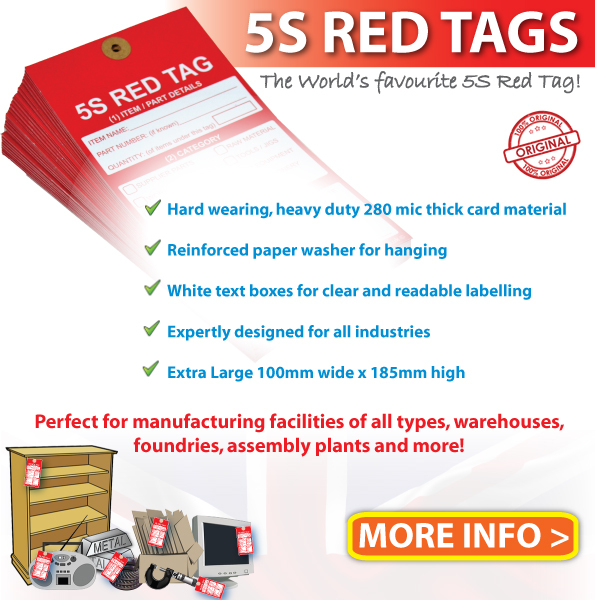 The very best 5S Red Tags available anywhere. ‘White’ text boxes for clear, readable labeling. Available in various quantities. Come with reinforced paper washer hole for hanging and attaching to items. Perfect for all types manufacturing facilities, factories, offices and warehouses.